Chicago, IL — Though corruption and violence may permeate departments across the nation, good cops have repeatedly tried to stand against their less honest colleagues — but all too often run into the Blue Wall of Silence for their efforts. It is no question that if fellow officers become good cops and blow the whistle on their peers for breaking the law, they will be shunned, and their careers will be over. 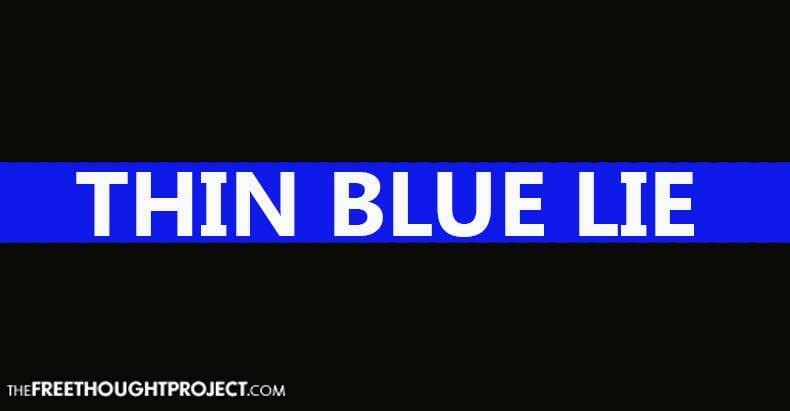 The blue code of silence, as our friend and former Baltimore cop, Joe Crystal has shown us, is not to be broken. Crystal attempted to expose an officer who beat a handcuffed man and was subsequently threatened and his career ruined. The Free Thought Project has worked with many cops and former cops whose careers have been ruined after they exposed corruption in their departments. And, Chicago Police Officer Jaeho Jung, is one of those cops. Jung has been with the Chicago police for over ten years. During this time, he’s never been disciplined or had so much as a single entry into his record for a mistake or misconduct. However, all that has changed and this highly decorated cop, who’s received over 150 awards, is now the black sheep, facing down false arrests, threats, discipline, and loss of vacation — all because he bravely pointed out corruption within the department. Jung has since filed a complaint in the Circuit Court of Cook County alleging he was the subject of retaliation for refusing to participate in corruption and for reporting fellow officers’ misconduct. According to a report by FOX 32, Mr. Jung, a decorated officer with over ten years with the Chicago Police, alleges his fellow officers fabricated police documents, gathered information from random license plate checks and generated fake radio communications to portray the officers were engaging in police work when they were not. Since he reported the corruption of his fellow cops, Jung has been the subject of racial slurs, has been told he will be retaliated against, has been forced to reduce his furlough, has been threatened with arrest and has been given false write-ups, according to the complaint. As FOX 32 reports, Mr. Jung’s complaint sheds light on the misconduct of the Chicago Police Department and he seeks to file this lawsuit to help put an end to misconduct. Mr. Jung has received over 150 awards and has never been disciplined in his career with the Chicago Police Department. The “bad apple” analogy is impossible to apply to this situation as the entire bunch is bad, and there is seemingly only one “good apple.” Sadly, as is the case the majority of the time, the one person with courage and a sense of justice in this law enforcement apparatus, was swiftly and belligerently ousted with extreme prejudice. What happens when there are no more good apples?